These are short-term loans we offer in Phoenix that are used to pay for the construction of any type of commercial project. The builders take out this loan to cover the costs of a project. As the risks of building any type of commercial real estate are high, the interest rates are typically higher than usual mortgage loans. 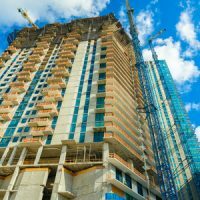 Construction loans are usually offered by local banks and credit unions as they are aware of the local market conditions. If you intend to build the project with your own hands, an owner-builder construction loan may be best suited for you. What are the Period of These Loans? These self-build loans are usually obtained before availing to long-term funding. The construction period usually lasts 6, 9 or 12 months when you pay interest only. Thereafter some banks convert this loan into regular monthly principal and interest payments leading to one-time closing. While others need you to refinance the construction loan with a fixed rate 30-year mortgage. Construction Loans or stand-alone loans are paid off by getting an ‘end loan’. These allow smaller down payments as there is no facility to lock a maximum mortgage rate in advance. The disadvantages are that you risk a rise in interest rates. And if your project fails you may not qualify for a mortgage. Besides, you pay twice – once on the loan and later the mortgage. Construction Mortgages or construction-to-permanent loans work like construction loans. The only difference is you apply only once. And after completion, the balance loan rolls over into a standard mortgage. As the borrower locks the maximum mortgage rate at the beginning of the construction these are the popular choice. Two separate loans from the same lender – The initial loan finances the construction and the second loan – the permanent mortgage. The initial loan is at an adjustable rate mortgage while the second loan is according to the mortgage availed. Simultaneous loans in first and second lien position – These arrangements are called 80-10-10 transactions, where the construction loan and the mortgage are availed simultaneously. The construction loan is the first lien; made over 80% of the home’s value. While the mortgage is the second lien position for 10-20% of the home’s value. Have a qualified licensed builder of good reputation on your project. You could use owner/builder loans if you are thinking of doing the project yourself. Submit your blue book with the floor plans and details of construction and materials to be used. This includes the specifications such as the dimensions of the rooms, insulation used, etc. Have the appraiser consider the blue book to draw up the approximate costs. The specifications considered will be the value of the land, dimensions of the rooms, etc. These calculations are then compared to similar projects with similar features, location and size called ‘comps’. Thus, the appraised value is based on these comps. Put in a down payment of at least 20-25% of the construction loan. This is to ensure that you are invested in the project and protect the lender’s investment in-case the project isn’t worth as much as invested. If you are interested in obtaining a construction loan in Phoenix, CONTACT US today to see how we can help.